Historic places are often seen as inherently inaccessible. While this is untrue in many ways, this attitude has led to a lack of access measures being implemented at historic places. 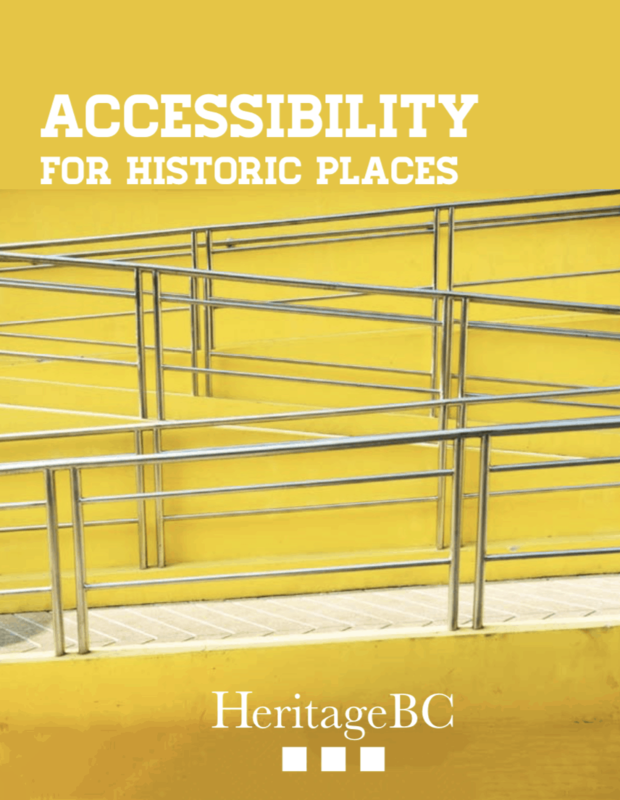 This guide, produced by Heritage BC on behalf of the Heritage Branch of the Province of British Columbia, seeks to arm the owners and managers of historic places with the tools to successfully enhance the accessibility of those places for persons with disabilities without damaging the heritage values and character-defining elements. Websites often rely on images and rich, colour-based design. However, this type of design is inaccessible to people with visual impairments or those with cognitive disabilities who experience sensory overstimulation or have difficulty processing certain types of information. People with disabilities may use screen readers or text-only programs, which often miss or misinterpret image links or infographics, for example. Making Accessible Media: Accessible Design in Digital Media is a course of study from Humber College Institute of Technology and Advanced Learning designed to educate Canadians on the importance and relevance of inclusive design and accessibility in media. Commentary on BC Building Code access requirements. Guides for creating access to historic buildings and landscapes. Center advocating for universal design at NC State University. European organization providing accessibility resources and support. Preservation brief on making historic buildings accessible. Guide to managing accessibility in the historic environment. Access guide focused on meeting the needs of persons with disabilities in the historic environment. Guide to providing physical access to historic places.